If a person has to leave Lopez (until all the way until next summer! 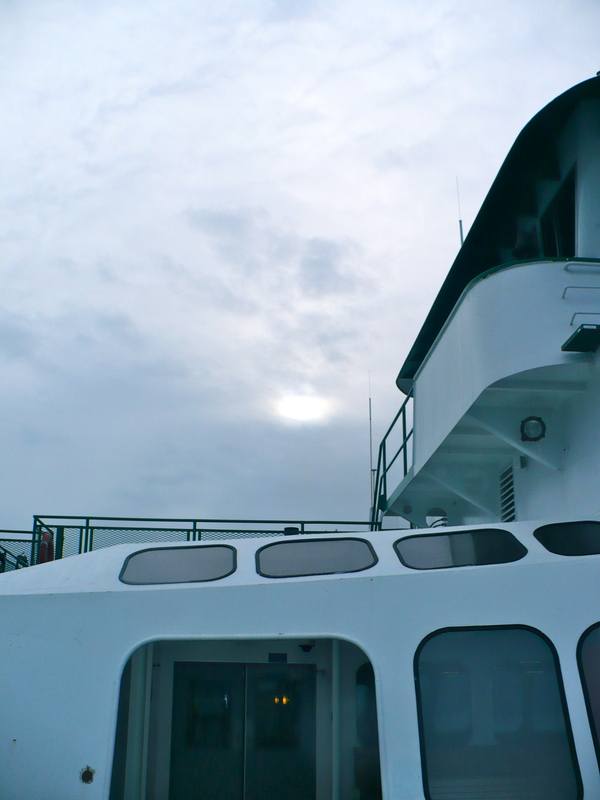 ), getting to ride on a Washington State Ferry (in this case the Chelan) is a nice consolation prize. Back on the Sealth ferry heading for Lopez Island! 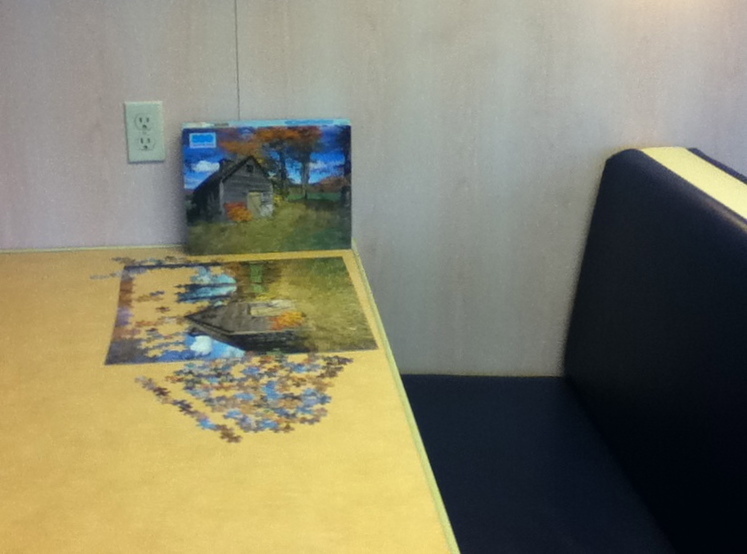 A fun custom on some Washington State Ferries is to work on jigsaw puzzles during a crossing. The puzzles are set out on a selection of tables, like this one, and anyone who wants to is invited to fit a piece or two in. Bye-bye Lopez (for a week)! 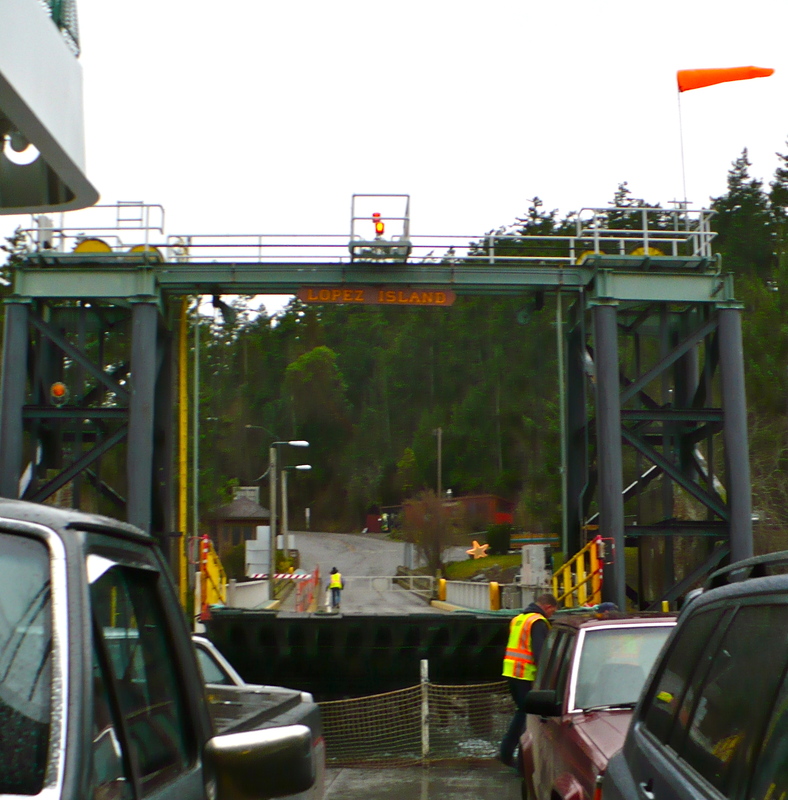 Back on the Sealth ferry, on the next leg of my adventure (stay tuned)! From sunny California . . .
. . . to the opalescent Pacific Northwest. 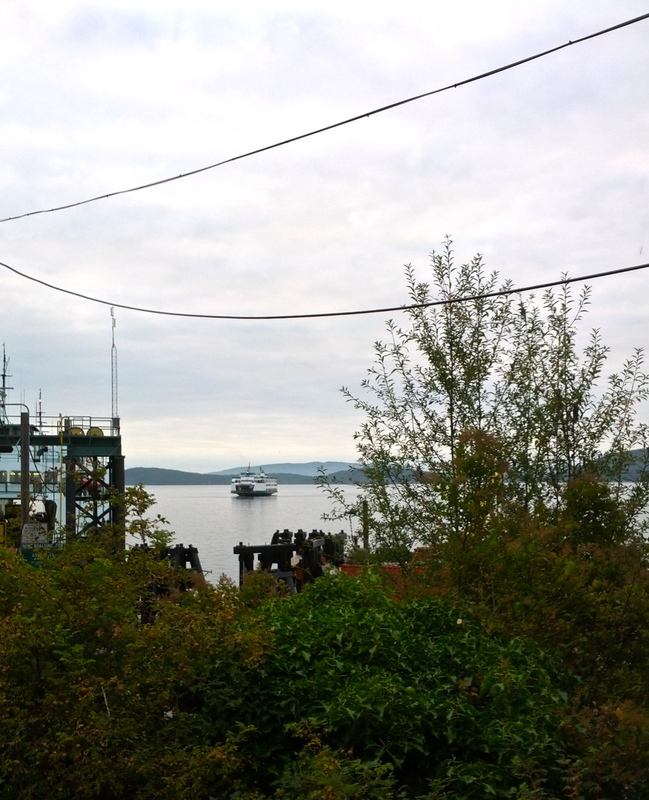 This shot from the deck of Washington State Ferry Sealth, on the way to Lopez Island.